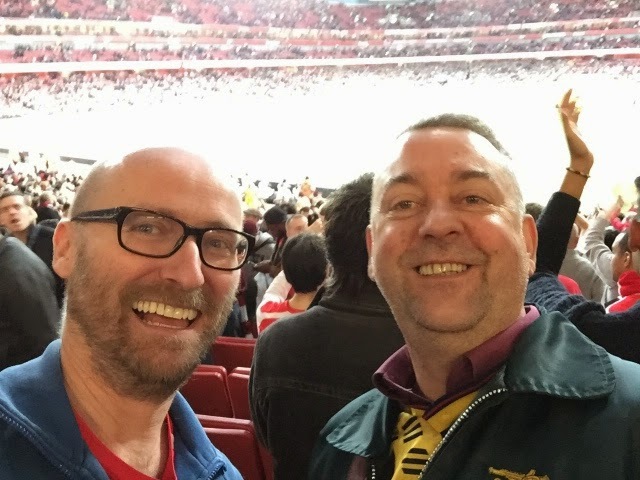 On Saturday Paul and I went to the Emirates Stadium to see the in-form Arsenal FC take on the out-of-form Burnley FC. The boys made hard work of it in the first half but came good after the break recording our second successive league win for the first time this season as Burnley's woes continued. Alexis Sánchez was the man of the match scoring at 70′ and 90′. Callum Chambers got his first Arsenal goal after 72′. And Theo Walcott made a well return as a sub after ten months out injured. So all in all int was a great afternoon's footie.